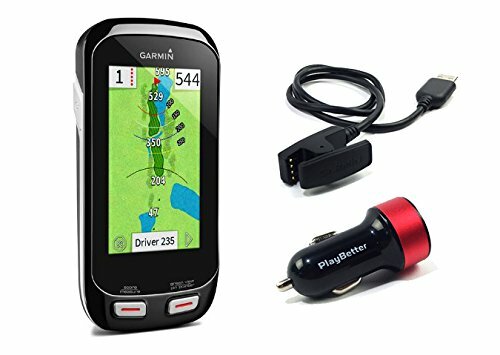 We know how important it is to have your golf GPS charged at all times so that's why we created this USB car adapter bundle! Simply plug in your Approach G8 on your drive to the course or in between rounds to be prepared for a full day of golf without the stress of a low battery! Find the center of the green, even if you can't see it, with PinPointer technology! The unique feature points you in the right direction, helping you recover from tough blind shots. The GPS adjusts for both uphill and downhill shots to give golfers precise distances to their target and allows manual pin repositioning. Precise Distance - The GPS adjusts for both uphill and downhill shots to give golfers precise distances to their target.